The soul: what do I mean by “the soul”? Not a concept in Buddhism, but possibly contacted in the deeper realms of meditation. The term still represents something I feel inside me, not like it flies away upon death to heaven or hell as in Catholicism, but it’s a spiritual but earthy part of myself that is nearly synonymous with Heart, and can be damaged by or covered up by events in the material world. It seems to be missing in the technological, aggressively secular age we live in, and it’s what we return to nature to rediscover. The lack of it in some hearts is what is killing the world. We can also recover the felt sense of it by journaling, or by listening to sublime music or reading novels or other works that call forth an ineffable part of the human condition. It feels deeper than mere emotion. In some people, the soul shines through unmistakably. The soul never grows old. It always feels young and uplifted when you can feel it, but it can be battered and bruised sometimes, and is impossible to locate when depression takes over. There must be a million symbolic representations of it. 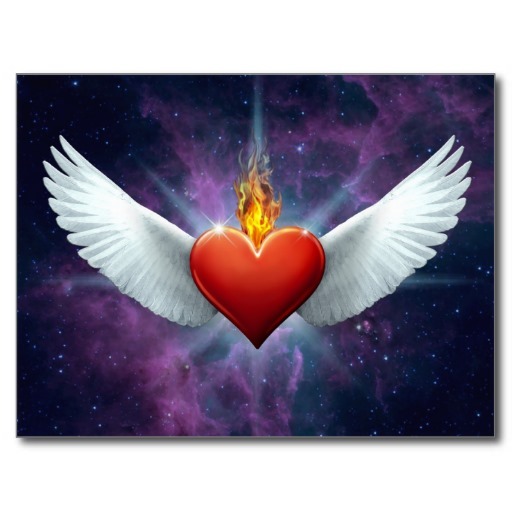 The one that came to me just now was the picture remembered from childhood called the Sacred Heart of Jesus, deep red heart prominent in his chest, and with wings. Or are the wings in the Sufi representation? Perhaps it’s this quality of soul or heart that Native Americans mean when they say someone “walks in beauty”. I love that. This entry was posted in Meditation and tagged Nature. Bookmark the permalink.